We specialise in a wide range of flooring, roofing and wall solutions, including anti-slip. Our products are used for many applications from hotels and restaurants, car parks, tourist attractions, warehousing, manufacturing and production facilities to sports and leisure centres. We work with a wide range of clients and are happy to quote for projects of all sizes. 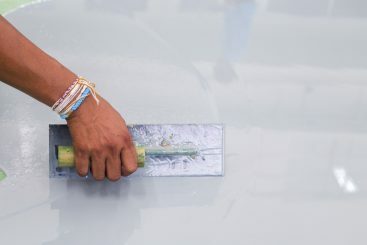 These can range from repairing damaged tiles around a drain using a quick curing resin, or putting anti-slip nosings on a staircase, to major projects where we prepare and coat up to 30,000 square metre warehouse floors, walls and roofs. With our MMA products being quick setting, we are able to cover floors, walls and roofs overnight, which allows normal activities to resume the next working day with no break in continuity. Robex Contracting is part of The Robex Group, set up in 2003 following demand from customers who wanted an application service to install the Robex products they had purchased. Today, we are the only company in the UK to offer a fully integrated service where we manufacture, supply and apply Robex products. With our one-stop-shop and your own project manager with responsibility for your project, you can rest assured that Robex Contracting will take care of all aspects of the contract from start to finish. 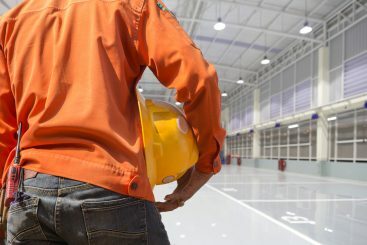 What is the best industrial flooring option?